You have to admire the simplicity of A&E's billboards. 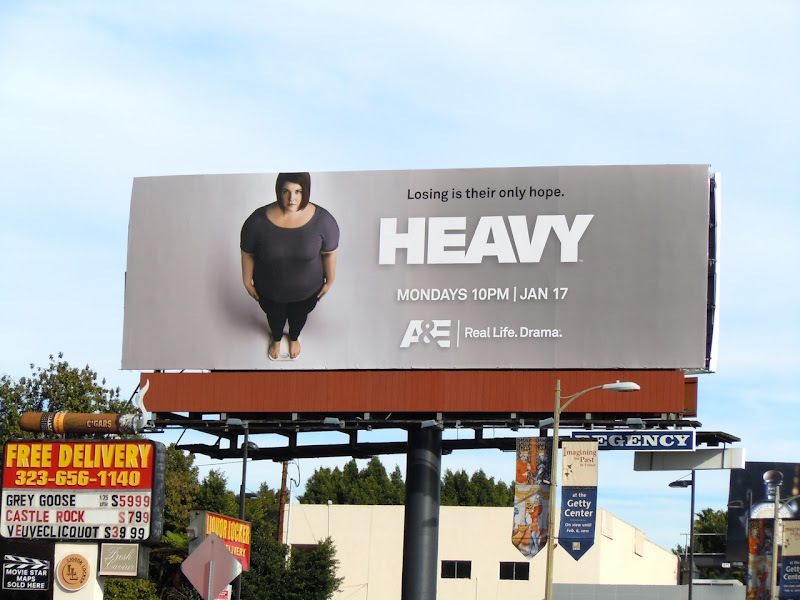 From Hoarders to The Glades and their latest weight loss reality show, Heavy, their creatives all have a strong central image and a uniformity to them which hint at the fact they come from the same channel. 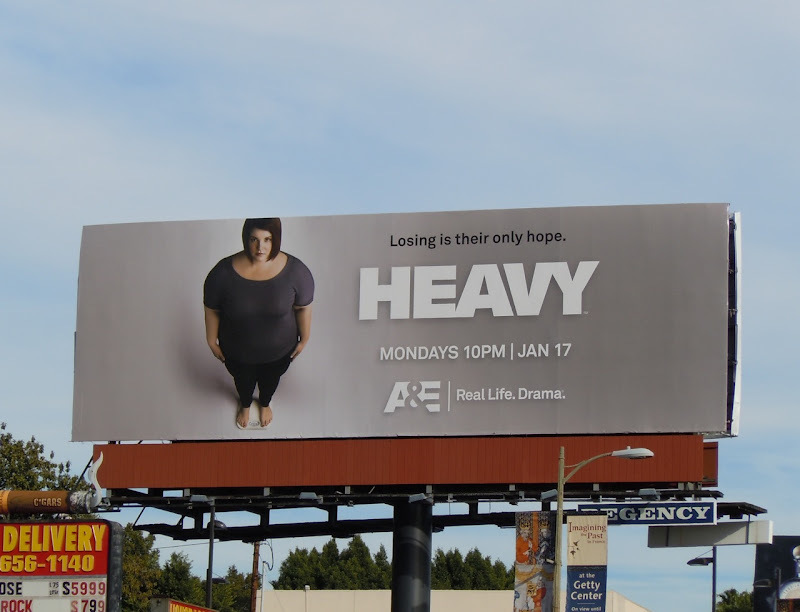 This television billboard was photographed along Sunset Boulevard near Crescent Heights Boulevard on December 31, 2010.